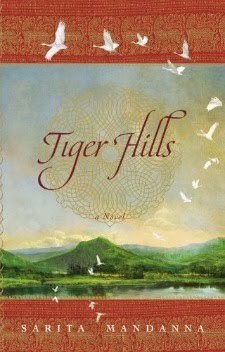 Tiger Hills is an epic love story set in Coorg, India beginning in 1878 and spanning the next 60 years. Navi is the first born girl in the Nachimandas family in over six generations and she is a delight to all her know her. She is charming, beautiful, courageous and very determined. At ten years old she meets Machu, the Tiger Killer and decides she will marry no one other than he. Navi's best friend and confidante, Devanna, doesn't understand Navi's fascination with his cousin, Machu. He is determined to win Navi's love at all costs. They each are set upon a course where love knows no bounds and the participants are all lead to their fates by their sense of duty and honour. The reader is swept over the countryside of India and learn of her vast beauty from the flora and fauna to the love her people share with her lands. We learn of familys bound by honour and the rise and fall of each of their lives as each are entwined with another to bring you a beautifully written love story in which even the best course of actions never turn out the way we wish them to. I enjoyed the narration, the plot and the characters involved. Everything about the story was believable and you will find yourself wanting to unfold the tale that surrounds Devi and those that touch her life. I liked how strong Devi was in most situations except those concerning her heart, it was a brilliantly displayed human trait that befalls many of us and Sarita Mandanna explores these emotions in depth and does not leave you lacking. She gives enough mystery in their lives that you will feel compelled to follow them to the end and I would suggest anyone who enjoys epic romances and raw human emotion grab themselves a copy and enjoy the lives and loves of those involved. The year is 1878. As the first girl to be born to the Nachimandas in over sixty years, beautiful, spirited Devi is adored by her entire family. She befriends Devanna, a gifted young boy whose mother has died in tragic circumstances. The two quickly become inseparable, 'like two eggs in a nest', as they grow up amidst the luscious jungles, rolling hills, and rich coffee plantations of Coorg in Southern India; cocooned by an extended family whose roots have been sunk in the land for hundreds of years. Their futures seem inevitably linked, but everything changes when, one night, they attend a 'tiger wedding'. It is there that Devi gets her first glimpse of Machu, the celebrated tiger killer and a hunter of great repute. Although she is still a child and Machu is a man, Devi vows that one day she will marry him. It is this love that will gradually drive a wedge between Devi and Devanna, sowing the seed of a heartbreaking tragedy that will have consequences for the generations to come.